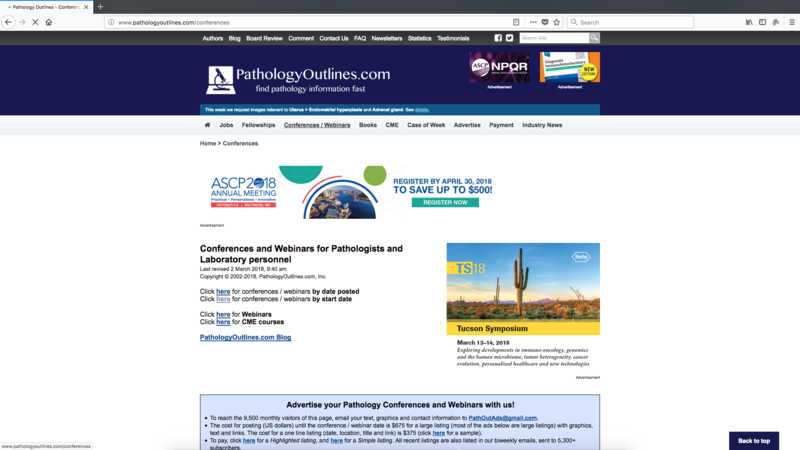 Click here to visit the Conference page and to learn about posting Conference ads. Banner advertising is available on the top or right side of our popular Conference page. In 2018, it had 106,068 page views or 8,839 page views per month (see Website statistics). Cost: $6,000 per year for top or right side banner. Banners or links can change monthly. Specifications: banners must be in JPG, PNG or static GIF format. Top banners is 728 x 90 pixels. Right side banner is 300 x 250. You can provide your own tracking code within the link.